All workers face increased challenges in facing retirement, but a new report from the Transamerica Center for Retirement Studies (TCRS) finds the difficulties are greater for women. That conclusion is based on findings from TCRS' 17th annual retirement survey. TCRS President Catherine Collinson says today's women have career opportunities that weren't available to their grandmothers. But that hasn't made retirement any easier. "Women continue to encounter challenges including lower pay, time out of the workforce for parenting or caregiving, and longer life expectancies that all contribute to unique challenges in adequately saving for retirement," she said. The survey found only 10% of working women are "very confident" they can retire comfortably. But part of that lack of confidence may be traced to a lack of information. 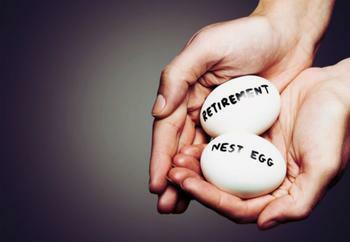 More than half said they are "guessing" at the amount of retirement savings they will need. Based on the data it gathered in the survey, TCRS estimates women's median household retirement savings is only $34,000. More than two-thirds said they have no back-up plan if forced into retirement sooner than expected. As an added worry, four out of five have doubts that Social Security will be available when they stop working. In many ways, the retirement challenges facing women are not all that different from those facing men. For example, the survey found that more than half of women plan to work past age 65, and 13% said they don't plan to retire at all. Half plan to work at some type of job, even if they do retire. Yet the survey also shows women, by and large, are doing the right things. Seventy-two percent said they are saving for retirement through a workplace plan or an Individual Retirement Account (IRA). The median age at which women started socking money away for retirement was 28. "The facts are startling and clear. Women must begin taking greater control and gain an understanding of their true retirement outlook," said Collinson. She says women need to confront their challenges head-on and acquire essential knowledge about how to achieve financial security. Retirement plans, Collison says, should help mitigate risks and steer women on a course for financial security. Retirement needs will depend on a lot of individual factors. To help you get a handle on what your needs will be, this retirement calculator from AARP might be useful.